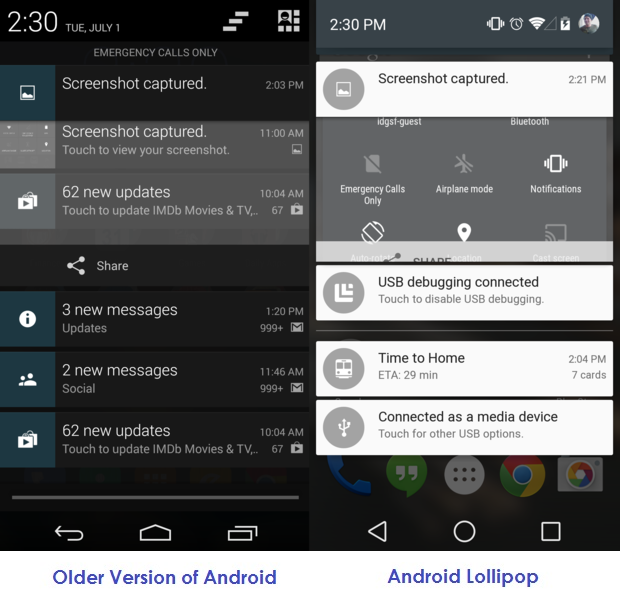 Android Lollipop: Facts, Features and How to Install it? The recent study by Strategy Analytics reveals that, the number of smartphone users will reach to 2.5 billion mark by the end of 2015. The latest research from IDC (International Data Corporation) states that Android is running on 81% of smartphones, which is a huge number. These statistics show that Android users are growing rapidly across the world. Originally, in September 2008 Android came into existence, containing a few features with its initial release (Android 1.0). But Google has frequently upgraded its mobile OS versions to beat its competitors in the smartphone market. Besides, Android has won the hearts of billions of people all over the world in its incredible journey from 2008. 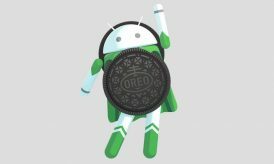 With each update Android brings some unique, exclusive features with enhanced performance which gives a different user experience. In Nov 2014, Google released Android’s latest version “Android Lollipop” (Android 5.0) and its updated version “Android Lollipop 5.1” has been rolled out in March 2015. The statistics of June 2015 from Google states that 11.6 % of Android users have upgraded their smartphone to Lollipop. This number will keep growing as Lollipop has changed the entire old Android’s history. If your smartphone is still running on Android KitKat or older version and you want to upgrade it to Lollipop then you have arrived at the right place, this article will explain you all the steps to upgrade to Android Lollipop. Inbuilt torch: – Before Lollipop, there was a requirement to download an external app for the torch. But with this update you will get the inbuilt torch without the need of third party app. 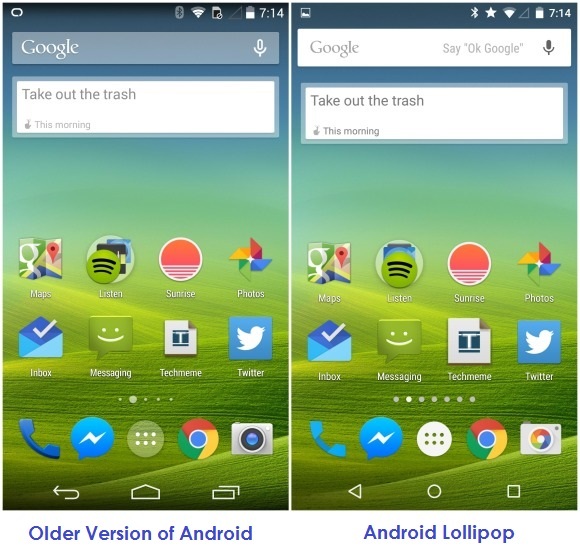 Design Interface: – Lollipop has updated the entire design interface of older versions to give better user experience. The new interface contains more genuine, realistic and practical look with new lock screen, apps menu etc. Improved Notification panel: With the improved notification panel you can view unread notification on the lock screen. You can swipe down them to get full content. If you want to disable this feature, change the settings in “Sounds and Notification”. 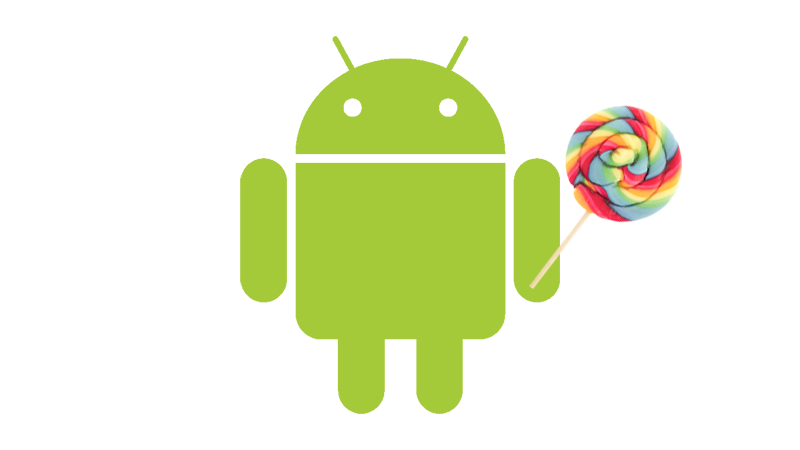 Color Modes: – Lollipop has added this feature for color blind persons who can’t recognize a specific color. It is called color conversion and a user can pick any color mode like red-green, blue-yellow etc. Multiple Language Support: – If you want to operate your phone in Bengali, Tamil or in more languages, then you must upgrade your phone to Lollipop. Now It is supported in 15 new more languages with the total support of 70 languages. Security: – Until now you were securing your phone by using passwords or pattern locks, but with the smart lock security of Android Lollipop, you can get the new ways to secure your phone. Improved performance: – Previously, Android was using the “Dalvik” engine, but now it has switched over to new runtime “ART” which has improved its performance 4 times from older Dalvik. 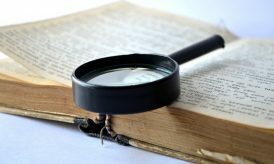 Wi-Fi and Bluetooth Shortcuts: – Lollipop has eliminated the need to go into settings and make connections every time for Wi-Fi. Now you can access the Wi-Fi or Bluetooth connection just by going into quick settings menu. Step 1: – First, you need to take the backup of your data, as after updating to Lollipop you will not be able to restore the data. 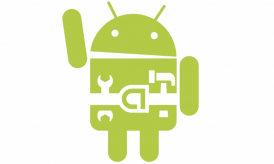 Step 2: – Download and install the Android SDK on your PC which comes with two program ADB and Flashboot. Right Click My Computer, and go to Properties. Go to System Properties -> Advanced -> Environment Variables. Go to Path -> Edit and give the name of Directory in which you have installed the SDK, Separate the entries by a semicolon. Step 4: -Enable USB debugging mode on your phone. For that you can go to phone Settings -> Developer Option -> USB debugging. Step 7: -Tick USB debugging option to enable it. Step 8: -Download appropriate factory image for your device and extract it on your PC. Step 9: – Connect your phone to PC via USB and start the phone in fastboot mode. While powering up the device, hold the proper key combination. For the key Combination you can take help from here. 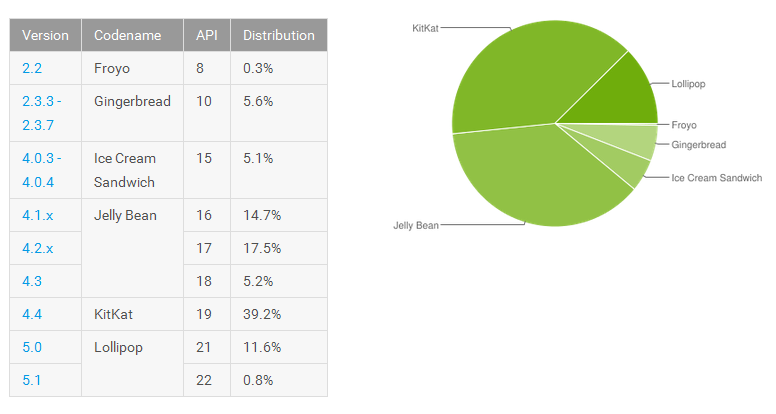 As I have mentioned earlier that 11.6% of Android users have successfully updated their smartphone to Lollipop, which shows that users have started taking interest in this new version of Android. If you also want to get a new design interface, customized smart look, or want to hide your secret content by using smartphone lock security, then just follow the easy steps and take the full advantage of Android Lollipop.